A girl can never have too many wish lists can she? 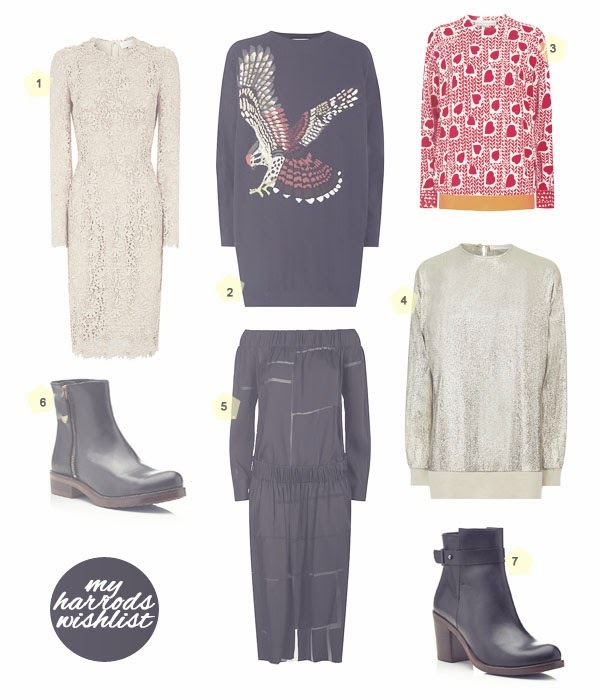 Today I'm sharing a few of my faves from Harrods of London featuring the lovely Stella McCartney and fab Kurt Geiger. There is something about classic designer pieces that have a touch of sparkle that just get me. Which item from my list is your fave? For those readers that have been to Harrods in person, I'm a bit envious of you. Someday me feet will walk through the doors, 'til then my virtual shopping will have to do. I could use some money right now...so I can SHOP!